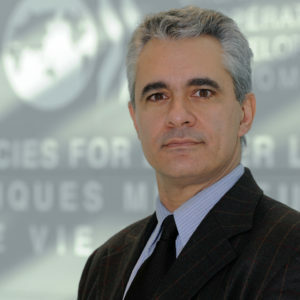 Mr. Scarpetta joined the OECD in 1991 and held several positions in the Economics Department and in his current Directorate. He led several large-scale research projects, including: “Implementing the OECD Jobs Strategy”; the “Sources of Economic Growth in OECD Countries”; and contributed to others including “The Policy Challenges of Population Ageing” and “The Effects of Product Market Competition on Productivity and Labour Market Outcomes”. From 2002 to 2006 he worked at the World Bank, where he took over the responsibility of labour market advisor and lead economist. In this capacity, he coordinated a Bank-wide research program of Employment and Development and contributed extensively to the Bank’s investment climate assessments. He returned to the Economics Department of the OECD in November 2006 where he became the head of the Country Studies Division in charge of Japan, Korea, China, India, Mexico, Portugal, Denmark and Sweden. From March 2008 to June 2010, he was the editor of the OECD Employment Outlook and the Head of the Employment Analysis and Policy Division of the Directorate of Employment, Labour and Social Affairs (DELSA). He became the Deputy Director of DELSA in June 2010 and in May 2013 has become Director. He has published extensively in academic journals, including in the American Economic Review, The Economic Journal, Economic Policy and The International Journal of Industrial Organisation. He edited several books in the fields of: labour economics and industrial relations; economic growth; and industrial organisation. He is the co-director of the programme of work on Employment and Development at the Institute for the Studies of Labour (IZA, Bonn, Germany); Research Fellow of IZA; Member of the expert group on the minimum wage in France; Member of the Executive Board of the CAED (Comparative Analysis of Enterprise Data) network and member of the Scientific Committee of the DARES (French Ministry of Labour). Mr. Scarpetta holds a Ph.D. in Economics from the Ecole des Hautes Etudes en Science Sociales (EHESS), Département et Laboratoire d’Economie Théorique Appliquée (DELTA) in Paris and a Master of Science in Economics from the London School of Economics and Political Science.